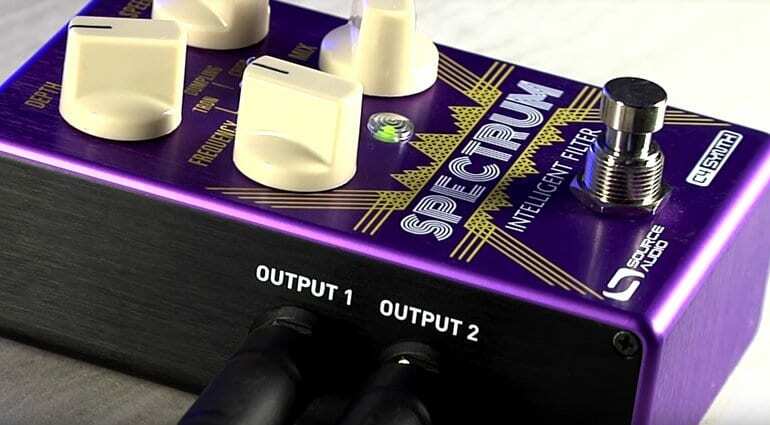 Source Audio has new funky synth-like filter pedal called the Spectrum Intelligent Filter and it has some pretty classic filtered synth sounds in that compact purple cased pedal. 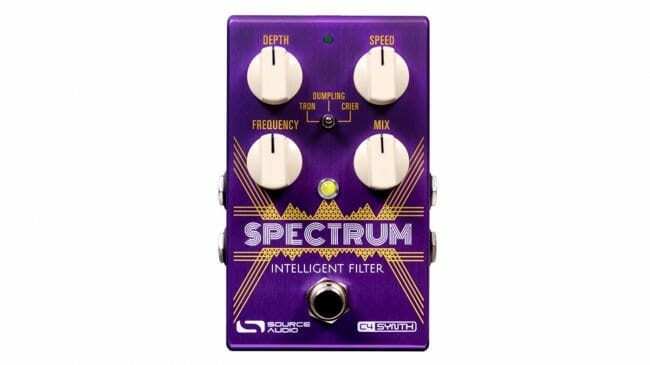 It turns out that the Spectrum Intelligent Filter will be the first in a new line of C4 Synth pedals according to Source Audio, so keep your eyes peeled for more pedals like this one in 2019 form the company. 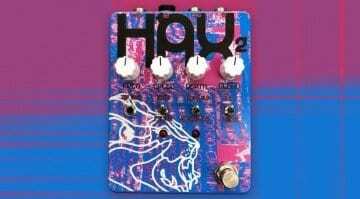 The new purple coloured pedal has controls for Depth, Speed, Frequency and Mix, Plus a mini toggle-switch that chooses between Tron, Dumpling and Crier settings. By setting the Spectrum switch and tweaking those four controls you get access to synth sounds, envelope filtering, octave and harmonizer effects. It all sounds really useful and very funky in their official demo video. 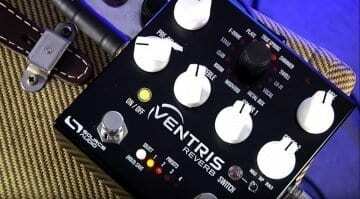 You can see in that demo that it has twin inputs/outputs as well and that it works equally well on both bass or guitar. You can also use the Spectrum Intelligent Filter with Source Audio’s Neuro smartphone app to load and share presets. 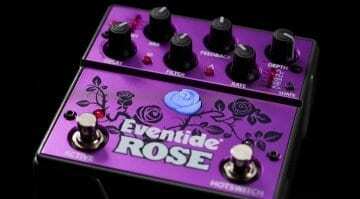 This is a really neat touch and opens up this pedal further and gives it another layer of usability. You can check out the new Spectrum at booth 5347 at the 2019 Winter NAMM Show. 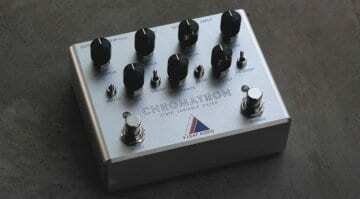 3 Leaf Audio Chromatron: Hendrix filter tones in a box?